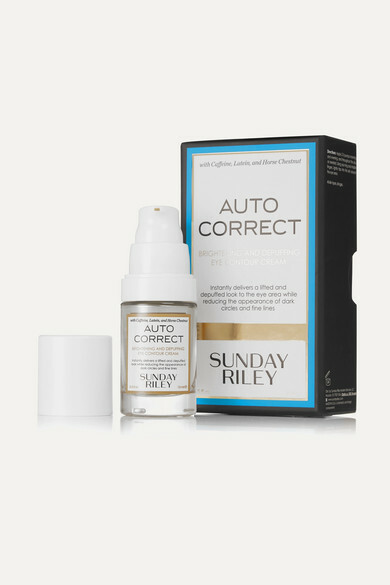 The delicate skin around eyes is usually the first thing to giveaway signs of aging, so it's important to use targeted products like Sunday Riley's 'Autocorrect' cream. Supercharged with hydrating Watermelon Rind extract and Sodium PCA, it helps de-puff the area and reduce the appearance of fine lines. Added Caffeine and Brazilian Ginseng Root work to lighten dark circles. We recommend applying it using your ring finger as it uses the least amount of pressure.